Kalgoorlie-Boulder is a thriving, modern, regional city with an opportunity for businesses to develop and grow in a constantly evolving global economy. 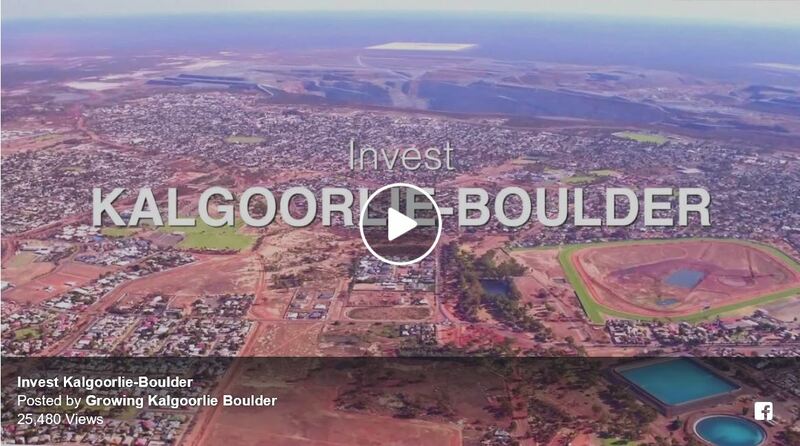 “Growing Kalgoorlie Boulder” has created this video showcasing the many reasons why Kalgoorlie-Boulder is the next big thing. “With a globally significant mining industry, supported by a wealth of minerals including gold, nickel, lithium and iron ore, which continue to drive the economy upwards. There are exciting investment opportunities in mineral processing, renewables, lithium, education and training, tourism, land development and service industries, which are all facilitated by our strategic location and excellent access to air, road, and rail transport infrastructure.” Growing Kalgoorlie Boulder states. If you are looking to buy, sell or invest in our fantastic regional city – Keren Briers and her experienced team at Kalgoorlie Metro have over 20 years of experience in the Kalgoorlie real estate market and continuously strive to help our clients achieve their real estate goals and ambitions. Here at Kalgoorlie Metro, our agents will work together as a team to find the best buyer for your home. We have regular meetings, constant communication and strong relationships with existing buyers. We also focus on providing professional, engaging and targeted marketing for each property; from our professional photography, social media advertising, quality signage and regular home opens. Our team approach and quality marketing works together to provide every chance of selling your property at the best price and in the shortest possible time frame. If you are looking to take advantage of the exciting investment opportunities in Kalgoorlie-Boulder, talk to one of our professional sales team members today (08) 9091 2228 or drop in and see us at 49 Brookman Street, Kalgoorlie.